I've been thinking lately about gift subscriptions, and why they make the best gifts for kids. Our kids. They want our attention. They want us to spend time with them. They want to know we are there, close by, engaged with them. As a full-time working outside the home mom, I felt like my time for presence was SO limited. That's part of the reason why I created Petit Mail - a story card to read together, a link and ideas for easy activities we can do together. Sometimes it's hard to come up with activities on the spot - it's a little easier with a helping hand. Plus, snail mail is the MOST FUN. Don't you agree? Gift subscriptions keep giving well past the holiday. It is the age-old "gift that keeps on giving" when something new and fun arrives in the mailbox each month. Kids LOVE to get mail. Mail with their name on it. Bright, colourful mail. It can be a really joyful experience, especially the first time a subscription arrives. 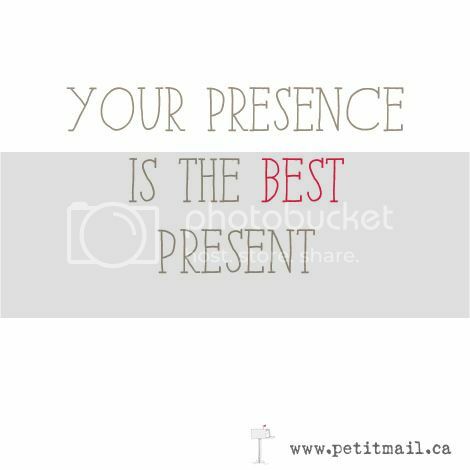 During gift-giving times, especially during the holidays, there are SO. MANY. TOYS. Yes, the toys are exciting for a short period of time, but often lose their appeal quickly. Subscriptions do no add to the pile. They offer something deeper. See reason 4. Subscriptions spark learning and imagination in a fun way. They encourage creative play and quality time spent together as a family. They are the perfect non-toy gift. Subscriptions offer you the ability to give the best gift of all - your presence. Your presence while you read together each month and your presence in the parent-child activities your subscription provides. I created Petit Mail Monthly Subscription for Kids - Story Card Subscription for preschoolers and early readers for all of the above reasons. Give your child the perfect non-toy gift. Each month, your child will receive a fun letter via snail mail. Petit Mail provides something to look forward to receiving and encourages quality time together as a family. Some months include little extras, like stickers and other goodies. How Does Petit Mail work? Order: Choose from Canadian, USA, or International subscriptions and from 3, 6 or 12 month options. Read & Play Together: Read your story card & use the monthly adventure as inspiration for family time activities. Oliver's putting on a puppet show? You can too! With so much of our days filled with technology, it is a wonderful treat to receive real paper mail. Need a gift subscription for the holidays? 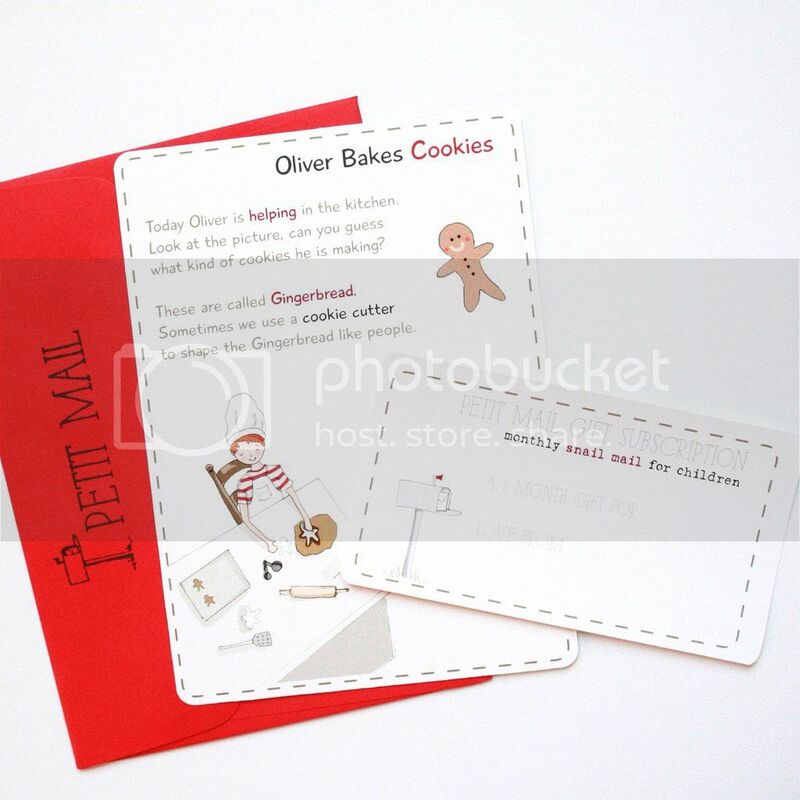 (+) A pre-packaged, double-sided Petit Mail story card - "Oliver Bakes Cookies" and envelope, ready for gifting or mailing.